LRN.FM is creating the best liberty audio programs, streaming 24/7 & on satellite. I'm Ian Freeman, the program director of LRN.FM - The Liberty Radio Network. I also host the nationally syndicated radio talk show, Free Talk Live, heard seven days a week. LRN.FM features dozens of liberty-oriented shows, both in live and podcast form, uncensored, streamed 24/7 online and broadcast internationally via satellite. LRN.FM was founded in 2009 for two reasons. First, to introduce existing liberty-minded people to new shows. Second, to provide programming to free radio stations. Both of those things have been and continue to be accomplished. My new goal is to expand our satellite reach to new ears globally with our ideas of liberty and peace. LRN.FM has been available on Free-to-Air satellite in North and Central America since 2010. We launched our African satellite channel a few years later, covering the Sub-Saharan portion of the continent. In many parts of the world, Africa especially, cable TV installations are non-existent or uncommon due to their high up-front and ongoing cost. Satellite is the most common form of audio/video entertainment in these areas. It's common for homes to already have the Ku-band dish and "Free-to-Air" receiver. For many of the 4 billion people in the world who have no internet (just over 50% of the world's population as of 2017), Free-to-Air satellite is a lifeline to the world, uncensored by the state. Free-to-Air means that no subscription is needed to receive the channels. They are TV or radio channels broadcast "in-the-clear", direct-to-home. 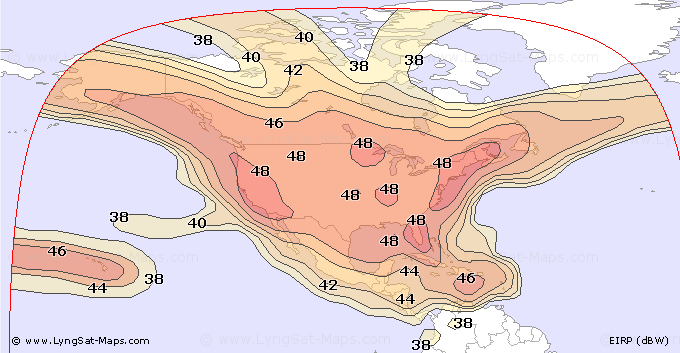 Some satellites, like Galaxy 19 over North and Central America have hundreds of Free-to-Air channels, including LRN.FM. Ako lives in Cameroon, Africa, where LRN.FM's satellite signal has been available since 2012. 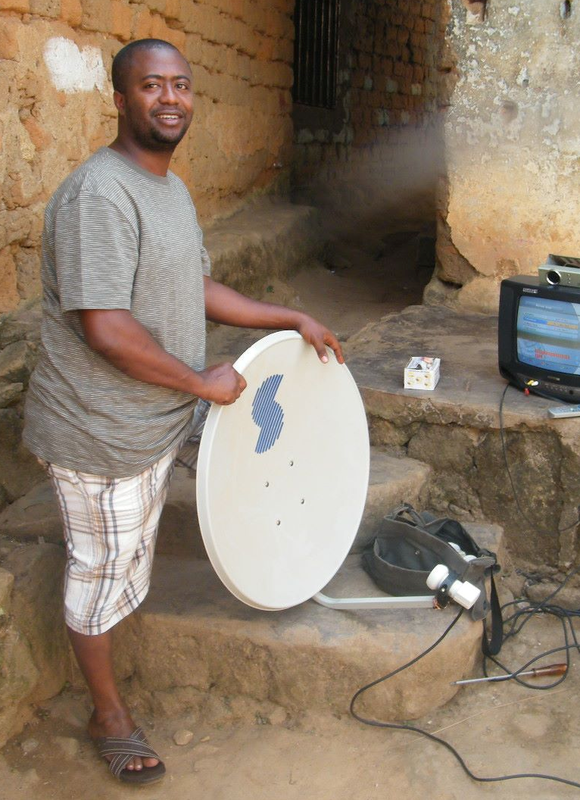 Ako says everyone has Ku-band dishes in Cameroon. He has personally introduced at least two hundred of his friends to our programs and says they listen and meet regularly to discuss the topics they hear on LRN.FM. You can listen to one of our interviews with Ako here. Ako tells us the press is heavily restricted in Cameroon. 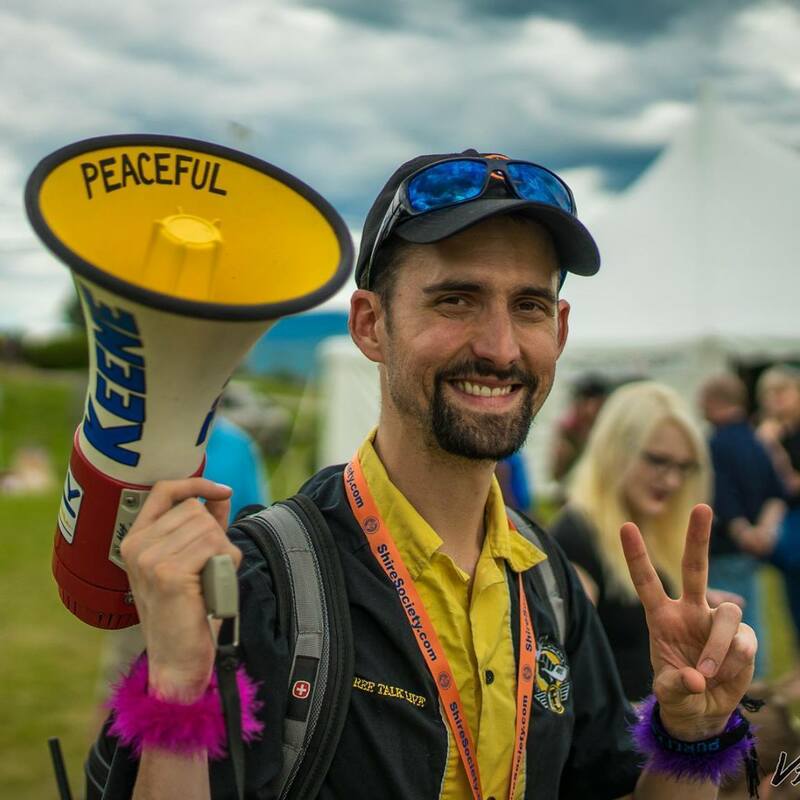 LRN.FM is the only channel on Free-to-Air advocating the ideas of liberty 24/7, and these ideas are inspiring people like Ako to take action. Recently (2017), he's been involved in the ongoing struggle of the secessionist English-speaking part of Cameroon to free itself from the French-speaking remainder. The internet is likely something you take for granted. However, billions of people on Earth have no internet. Free-to-Air satellite reaches those people, affordably. New ears will find the message of liberty, as people are frequently "scanning the band" and sampling new channels. That's how Ako found us. Then, he spread the word to his friends. It's really exciting that the ideas of freedom are reaching some of the poorest, most oppressed places on earth. We at LRN.FM are even more excited by the idea that we could be reaching more people around the globe via satellite, with your assistance. We also have a satellite channel on Galaxy 19 over North and Central America. You can see that signal map here. Right now, LRN.FM has an incredible deal with our satellite provider, RR Media. I'm not allowed to say exactly how affordable it is, but both of our channels cost less than $1,000 a month in total. For the last two years, I've done Indiegogo campaigns to help fundraise for the satellite channels, but have fallen short. I tapped into the Shire Free Church's funds and the Free Talk Live AMP program to make up the difference, but wondered what kind of support would be possible on an ongoing basis. To that end, this year I want to try something new, hence this Patreon campaign. With ongoing monthly funding from you, not only can LRN.FM continue both the American and African satellite channels, but hopefully expand to cover Europe, Australia, and other parts of the world. I know I'm not the only one who thinks this vision of spreading the message of liberty and peace globally is important, but until now this project's supporters have been unable to truly get behind this on a longterm, targeted basis. Thank you for considering it. I hope you'll sign up today and share this Patreon with others who care about liberty. The satisfaction of knowing your dollars are helping reach people worldwide with the ideas of liberty, plus your name (unless you prefer anonymity) will be placed on our Satellite page on LRN.FM. I'm no attorney, but it's my understanding that at least with the United States, donations to churches are tax-deductible even if the church is not 501-c3 status with the IRS. Here's what the IRS says on their own website: "You can deduct your contributions only if you make them to a qualified organization. Most organizations, other than churches and governments, must apply to the IRS to become a qualified organization." LRN.FM is a project of the Shire Free Church, so you should be fine deducting your donation. Don't take my word for it, though. If you pay taxes, which I don't personally recommend, you may want to do your own research. What are alternative methods to contribute? Please share this fundraiser on your favorite social media and also share LRN.FM! Special channels and status on the LRN.FM Discord. "LRN Patreon" status/badge on the Shire Forum. Our appreciation for helping spread the ideas of liberty and peace. 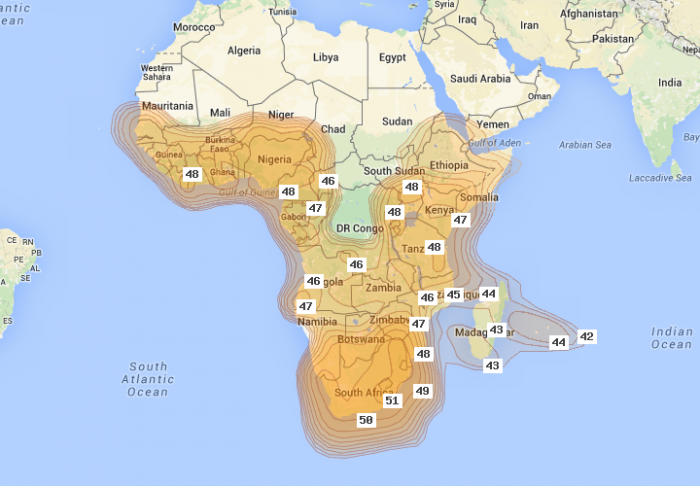 Naming rights for our Sub-Saharan African satellite channel on SES-5 will be yours! All of the perks from the Supporter level. Naming rights for our North and Central American satellite channel on Galaxy 19 will be yours! Our current satellite offerings include Galaxy 19 over North and Central America and SES-5 over Sub-Saharan Africa. Reaching this goal means those channels' costs would finally be completely covered by supporters like you. That would pave the way for our future expansion to the rest of the globe to hear the message of liberty and peace on LRN.FM.